The Panama Canal is expanding for the first time since its construction to accommodate a new generation of larger cargo ships, and America’s ports are pouring billions into upgrades in anticipation of their arrival. 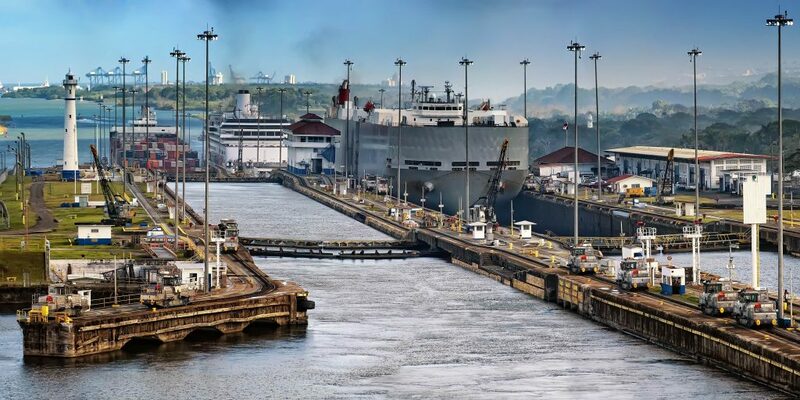 The Panama Canal Expansion Project, the first major renovation the canal has undergone since its opening in 1914, is a milestone that will have a major impact on the global trade industry, and specifically, the way cargo is handled and transported throughout North America. Scheduled to open in April 2016, the larger canal will be able to accommodate a new line of Post-Panamax vessels — supertankers, container and passenger ships too large to pass through the canal, pre-expansion. This new generation of vessels — which can hold upwards of 18,000 20-foot-equivalent units (TEUs), considerably more than the Panamax vessels of old — already carries 45 percent of the world’s cargo while only making up 16 percent of the world’s container fleet, according to the Washington Post. By 2030, Post-Panamax vessels could represent 62 percent of the total container ship capacity. But how immediately this influx of new business — in the form of cargo shipped from Asia directly to the East Coast — will land in the reconfigured ports has yet to be determined. The $5.25 billion expansion project has already created a new set of locks that will accommodate these larger vessels, providing shippers easier access to North America. 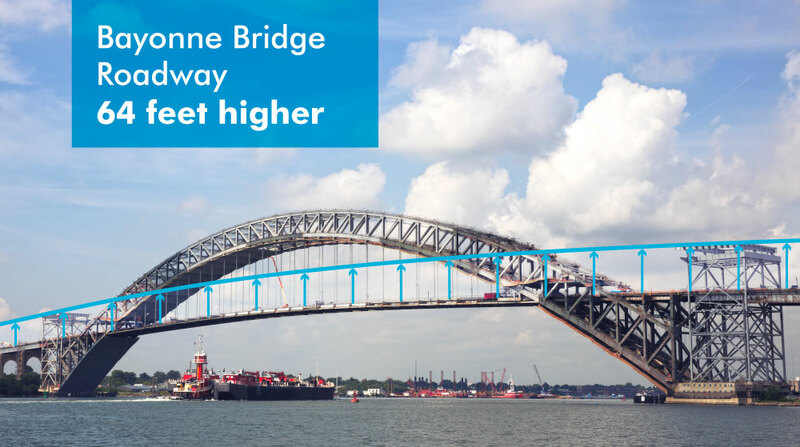 Ports on the East Coast know this, and are spending billions to deepen their harbors, increase their bridge heights and transform their infrastructure to accommodate larger vessels that bring with them more cargo and potentially more business. “It’s not like you’re going to have this huge wave of large ships that on day one will start flowing through the canal,” says Mike Kilgore, president and CEO of Chainalytics, a global supply chain consulting firm. Shippers often design their supply chain around having multiple ports to avoid placing all their risk in one port, says Kilgore. The easier access to East Coast ports by way of the new Panama Canal will force ocean liners to adjust their networks (such as shipping goods to West Coast ports, which are then sent to the East Coast by way of trains) “over time,” he says. But while the transition may not happen overnight, many ports along the East Coast are moving quickly and spending serious money. “New York is always going to be huge, and it is best positioned in the short term,” says David Egan, CBRE’s head of industrial research in the Americas. “If you take the major ports from Miami, Fort Lauderdale, Charleston and Baltimore, they’ve all made a committed investment to receive these Post-Panamax ships,” says Egan. Ports in Savannah, Ga., and Jacksonville, Fla., are currently undergoing costly dredging projects to deepen their harbors for these larger ships (Georgia has set aside $266 million for the Savannah Harbor). Work stoppages at the West Coast ports earlier this year — caused by labor negotiations between the International Longshore and Warehouse Union and Pacific Maritime Association, and a truckers’ strike at the ports of Los Angeles and Long Beach — hurt these ports, which have historically received the lion’s share of cargo shipped from Asia. The congestion these work stoppages caused in the West Coast ports helped redirect a lot of the cargo traffic to the East Coast. The Journal of Commerce reported that East Coast ports handled 658,768 TEUs of imports in February, just 3 percent less than the 673,318 TEUs that moved through West Coast ports. This could be a continuing trend once the new Panama Canal opens. A recent report from C.H. Robinson Worldwide, Inc. and The Boston Consulting Group estimates that up to 10 percent of container traffic to the U.S. from East Asia could shift from West Coast ports to East Coast ports by 2020. “The timing for California is pretty unfortunate, there’s no question about it,” says Egan. Despite the slowdowns along these West Coast ports, international shippers won’t necessarily eschew historically active ports like Oakland and Long Beach for the East Coast. “Cargo still needs to get to the West Coast, and shippers are going to take the straightest route possible, and that will often be to Oakland,” says Egan. More cargo means a growing demand for speedy distribution services, and that can also mean substantial real estate benefits for East Coast ports. For instance, the increased cargo traffic at the Port of Virginia helped fill warehouse space in Hampton Roads with imported goods. As of 2014, about 91 percent of the 108 million square feet of leasable industrial space there was leased, and the total amount of vacant square feet of warehouse space in the area dropped to 1.9 million from 3.6 million in 2012. “We’re likely going to see more regional warehousing distribution centers that will need to handle the changing supply chain,” says Kurt Nagle, president and CEO of AAPA. Even so, if there will be more warehouse space inventory added to the market, it wouldn’t be immediate, notes Egan. “From a developer’s point of view, they are going to want to wait and see what happens when the ports open,” says Egan. “There’s still a little bit of a recession hangover in the market and developers are being a little more cautious about putting up buildings on spec,” he adds. There is also the question of how those along the supply chain—from existing shippers to retailers—are going to change their methodology based on these new access points for larger ships, says Scott Marshall, executive managing director of industrial services in the Americas for CBRE. In Panama City, there are over 3.2 million square feet of logistic warehouse space currently under construction — including four large warehouses being built at the Panama Pacifico Special Area (AEPP). The zone has a free trade classification, says Lopez, primarily for distribution, packing and trans-shipment of the influx of products and goods that will be arriving to the area once the expanded Panama Canal opens. “Those ships that are unloaded in the East Coast have to come back, and they don’t want to come back empty,” says Lopez. This provides Latin America a strong opportunity to trans-ship agricultural goods and other products from Latin America to Asia. How transformational the impact of the new Panama Canal will be on North America remains a “big question mark” to Kilgore.